"Since Hawaii achieved statehood in 1959, the waves of tourism that wash its many beaches have reached almost tidal proportions. Visitors have increased by 75% in the past six years, and developers have rushed to capitalize on the bonanza. On four of Hawaii's major islands, some 64 resorts and hotels are now in various stages of building or planning. 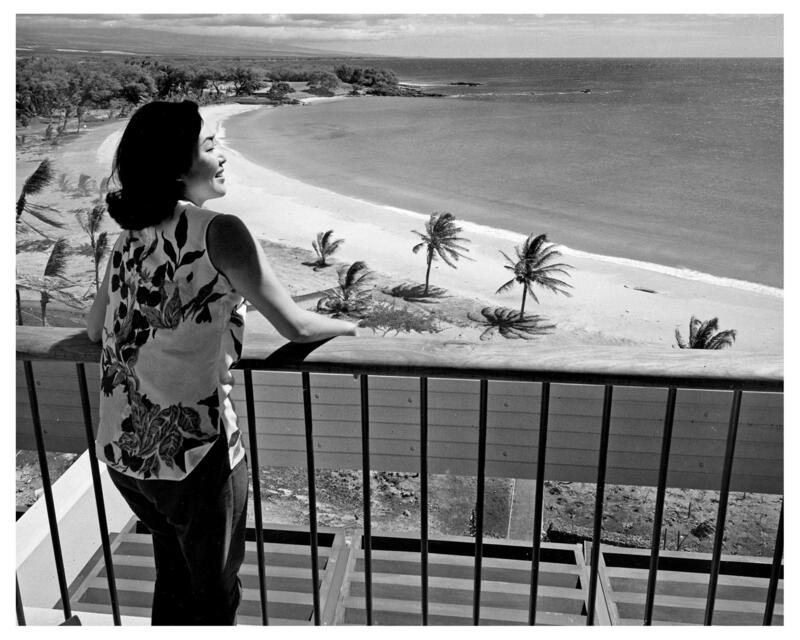 This week one of the biggest names in the resort business in another ocean makes his Pacific bow: Laurance Rockefeller will open his $15 million-plus Mauna Kea Beach Hotel complex on the "big island" of Hawaii." "A rare blend of innkeeper and conservationist, Rockefeller has until now specialized in the Caribbean, building quiet, out-of-the-way resorts on Bali-Ha'i beaches with 24-carat accommodations—Caneel Bay on St. John's, Little Dix Bay on Virgin Gorda, Dorado Beach in Puerto Rico." 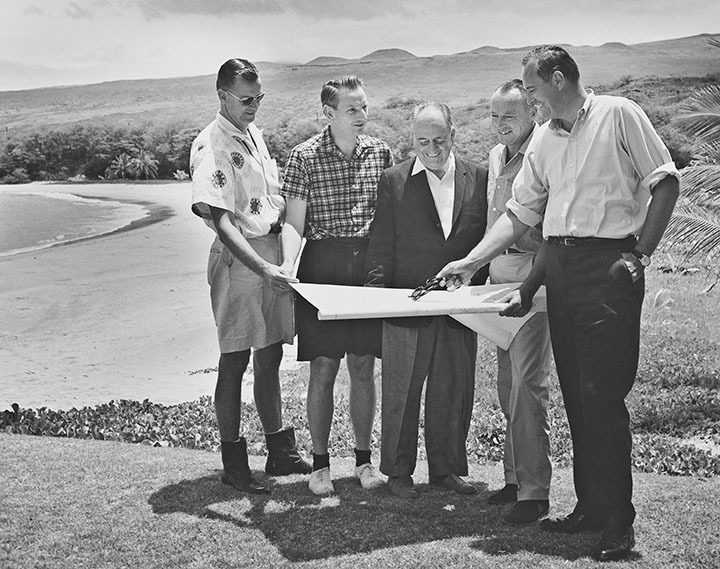 "Mauna Kea may prove his biggest resort investment so far." 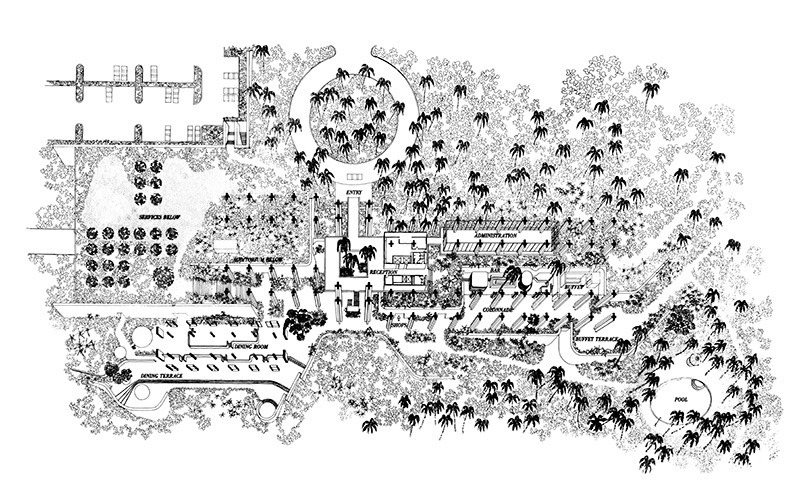 "Designed by Skidmore, Owings & Merrill, the hotel is a tiered, four-story structure whose 154 rooms surround palm-filled inner courtyards." "Guests with rooms facing west gaze out on a beach with sand the consistency of powdered sugar and water that has never known seaweed." "Those to the east look out over an 18-hole golf course designed by Robert Trent Jones that Jack Nicklaus has described as "more fun to play than any course I know." "Farther to the east stands Mauna Kea itself, whose 13,825-ft. snow-capped crest makes it the tallest island mountain in the world." "The interiors are almost as spectacular." Not one to pinch pennies on the extras that make the difference, Rockefeller lined lobbies, corridors and courtyards with $90,000 worth of art objects, ranging from a 13th century Buddha head to colorful Hawaiian quilts." "Although modest in size, the guest rooms ($28 to $48 a day) are sumptuously outfitted." "All feature willow headboards from Milan, teak bedside tables, Thai bedspreads and framed collections of seashells, plus spacious balconies to sun on. Bathrooms have mirror walls, marble sink counters, built-in ice-cube makers and overhead infrared lamps." "A tri-level restaurant affords virtually every table a front-row view of the ocean." "Rockefeller's total costs come to an astronomical $100,000 per room—a handsome bet on the hope that intelligent and affluent tourists will spend the extra effort to get to his faraway paradise rather than stop short at Waikiki Beach."